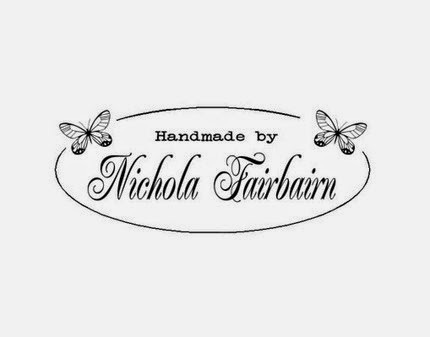 Treat yourself or crafty friend to a personalised stamp for Christmas. The perfect finishing touch to your handmade creations. 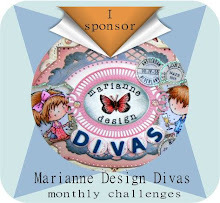 23 designs to choose from! 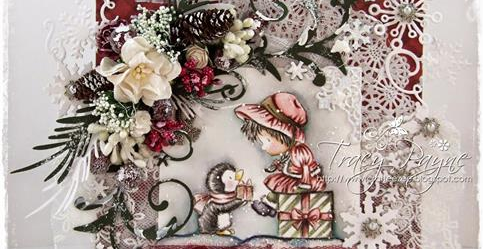 It's Kathy here again with another CC Designs card to share with you. This time I used one of the very cute penguins from the Holiday Penguins set. This set is on *pre-order and due in stock very soon. I just stamped the same penguin 3 times and coloured and cut him out to make a little snowy scene. There is actually another penguin (just as cute) that comes in this set too. Penguins are great because there's not too much colouring involved. 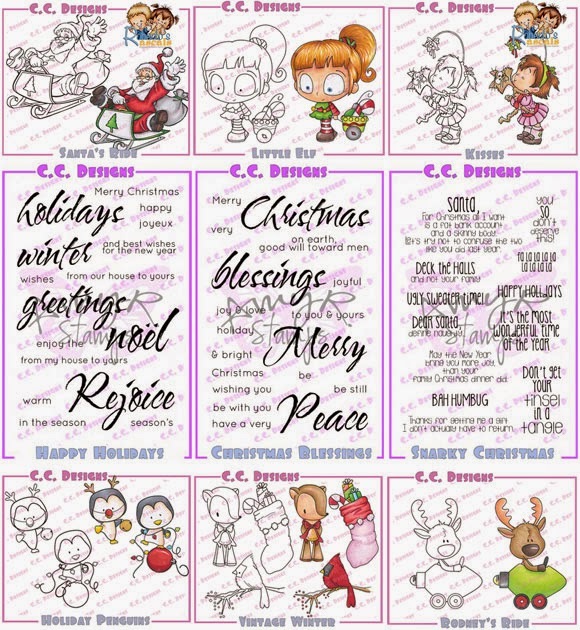 They make for quick, easy and super-cute Christmas cards! 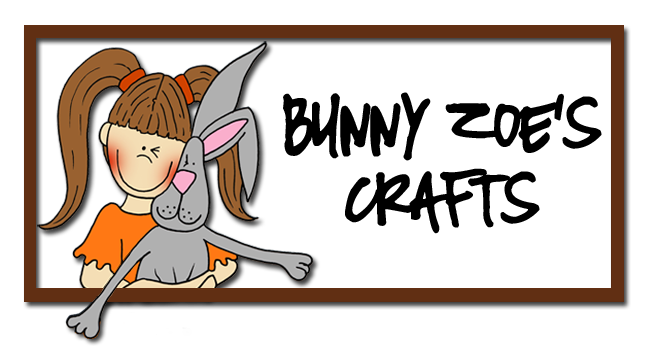 Designed with love and smiles! Hi :) it's Kathy here. I thought I would share some new release CC Designs goodies with you. 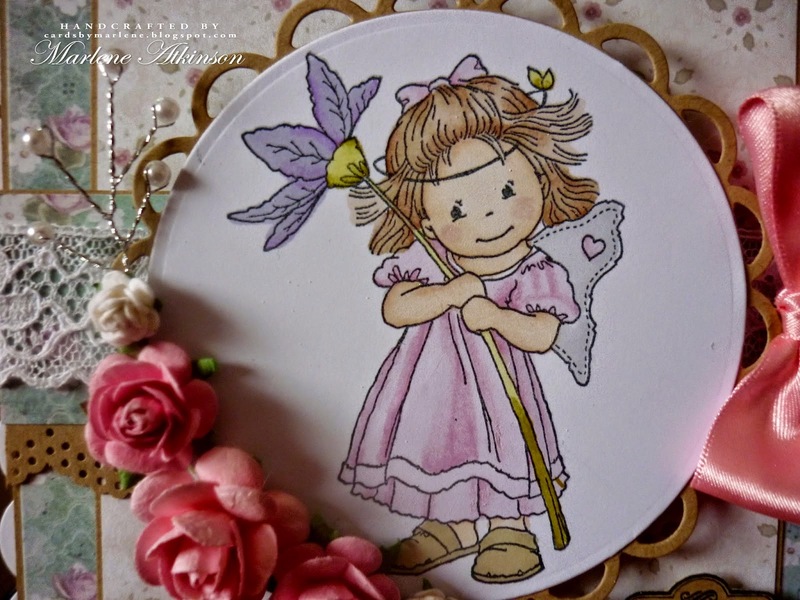 This adorable new Roberto's Rascals stamp is called Kisses. This little girl is just so much like my Granddaughter Layla. And it is exactly how our cat Indie looks when he's trying to cope with her cuddles and kisses too! I also used the CC Designs Heart Border die on the card too. 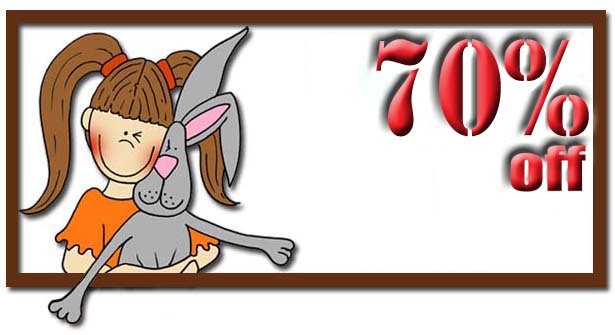 I love this image so much that I thought I might colour it again and put it in a shadowbox frame for my granddaughter. I think it will make a lovely Christmas decoration for her room. She could bring it out each year and perhaps add things to it too by placing little ornaments she makes, photos or wish lists inside. 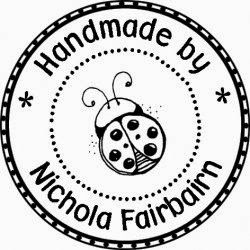 It's wonderful to be able to use stamps to make beautiful handmade gifts as well as cards isn't it? 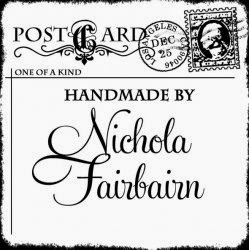 :) This stamp is currently on *pre-order and will be arriving in stock next week. Welcome back to a new challenge. 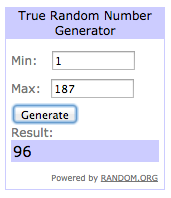 Thank you to everyone who entered our lace challenge. Love your sweet creation Marlene. 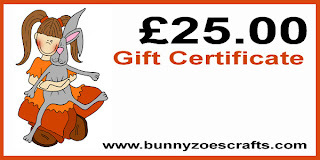 Please email me at nikki@bunnyzoescrafts.com to claim your prize. 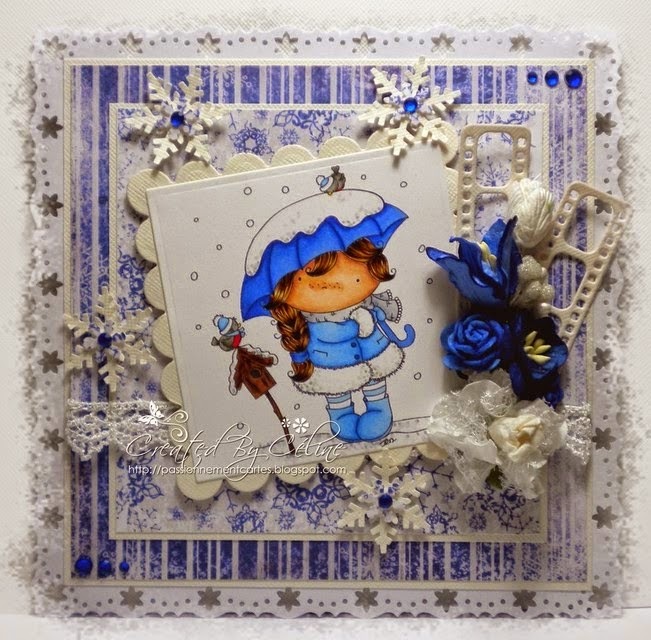 Thank you for sharing your pretty card with us Celine. 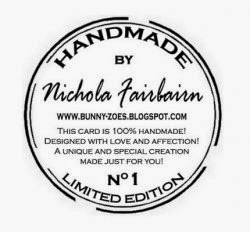 Please contact me at nikki@bunnyzoescrafts.com for the next month's challenge theme along with your choice of free stamp for your creation and your address details. 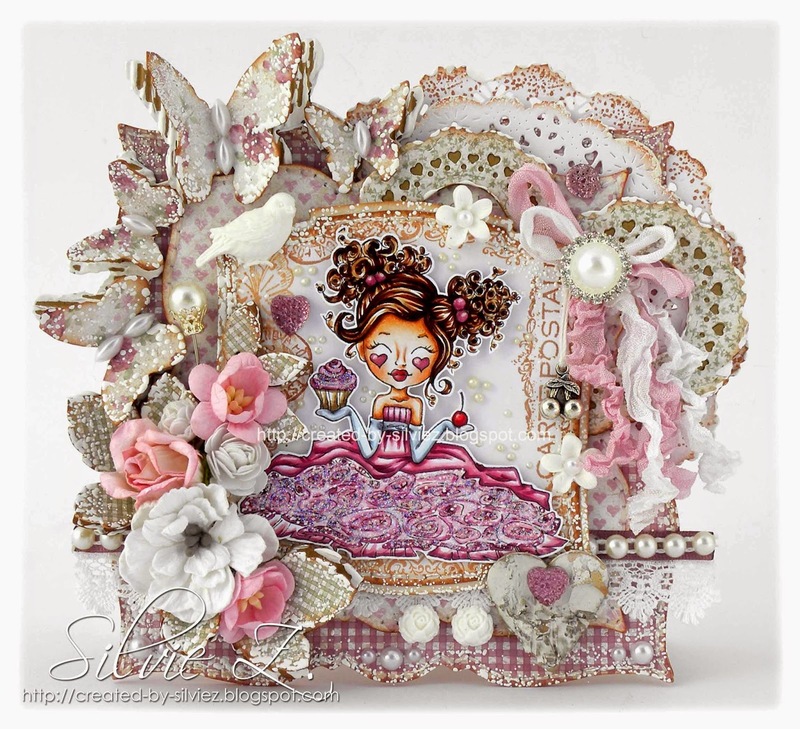 The animal or animals do not need to be part of the image but can be added as an accessory - for example the bird or butterflies added to Silvie's card. This months guest is Helen. Thank you for joining us and for adorable card. 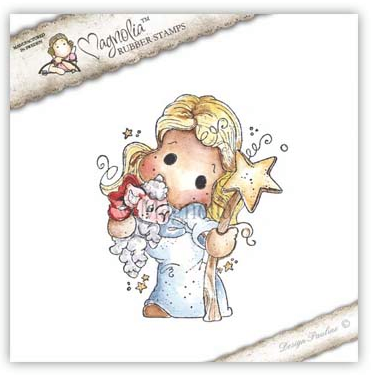 We have now discontinued this cute Bildmalarna stamp. 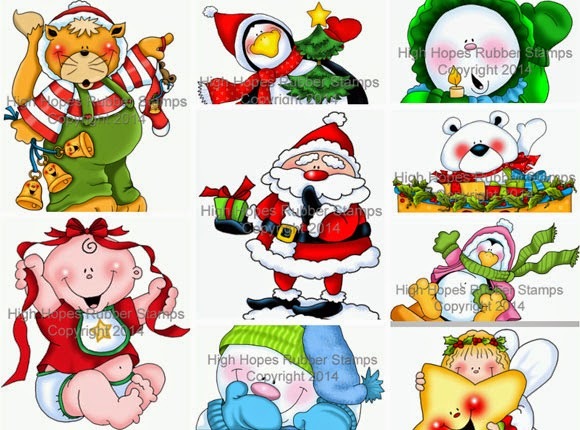 Lots of cute new festive designs can be found HERE. Don't forget if you would like to be a future guest please add DT to your name when entering. This challenge closes on Sunday 9th November 18:00 (GMT). Our new challenge will commence on Monday 10th November.